Don’t turn your nose up at this nose-to-tail dining experience. 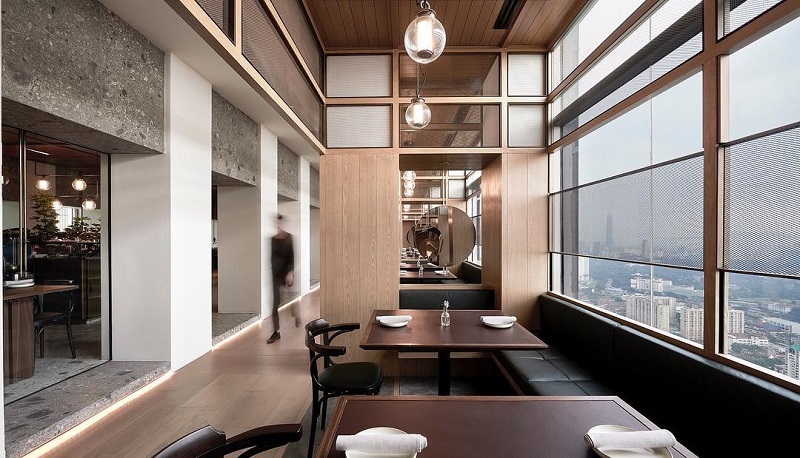 At Entier, uncluttered lines, marble cladding and wooden furniture provide an ambience of contemporary classiness, with plenty of natural light from large windows that look out onto the uplifting panorama of Kuala Lumpur city from the 41st floor of the Alila Bangsar hotel. 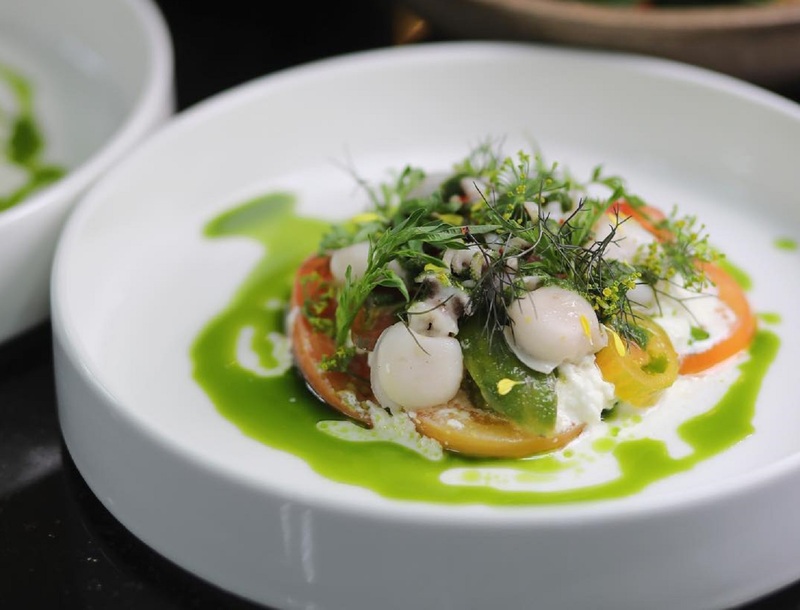 Chef Masashi Horuichi is the master of this domain, fusing French culinary techniques with inspiration drawn from the rich mélange of everyday Malaysian food, and embracing the ethos of nose-to-tail dining. The latter elevates those parts of the animal that might previously have been deemed, well, unworthy. Down-to-earth Malaysian food has long included these “spare” parts — think stewed pig’s ears and nose, deep-fried paru (lungs) and hati (liver), intestines in porridge, blood curd in noodle soup, brains and kidneys in double-boiled soups, chicken feet dim sum, fried gizzards, the delightfully named sup gearbox and so many ways of preparing tripe and cartilage, to name but a few, and you will see that the idea of not wasting animal parts is infused into Malaysian food culture. A long drinks list, with wines and spirits from various parts of the world, accompany the simple menu, designed for single meals or for sharing. Meats cooked using a Josper (a charcoal-fired combination grill-oven) can take up to 45 minutes to prepare but there are plenty of diversions, which explore the lesser-used parts of animals, while you wait. And so we did, starting off with small plates: the Ox Tail (RM37), a mini-mantou sandwich perched on the cover of a bowl containing an orb of spinach leaves, into which was poured a thick consommé of beefy goodness, with strands of meat, and the sensuous aroma of spices — subtler, richer and far more refined than the mamak stall variety of sup buntut to which it pays tribute. Or Honeycomb Tripe (RM28), a combination of slices of deep-fried beef tripe braised in its own jus, with deep-fried daun kadok (wild pepper) leaves, for an entirely new way of appreciating tripe — local in flavour, delightfully multi-textured and without a scent of gaminess that puts some people off it. Even ordinary Leek (RM30), given gourmet treatment from the Josper, was transformed into buttery-soft smokiness, richly infused with anchovy butter and a nutty flavour from hazelnuts. Exploring lamb, the Poitrine (RM48 small, RM89 large) described as lamb belly, was a rib section infused with miso sauce, accompanied by ulam raja and a bulb of charred garlic. It was spectacular, tender enough to pull apart without a knife and oozing with rich flavour, meaty yet mild, and further enhanced by garlic and ulam. 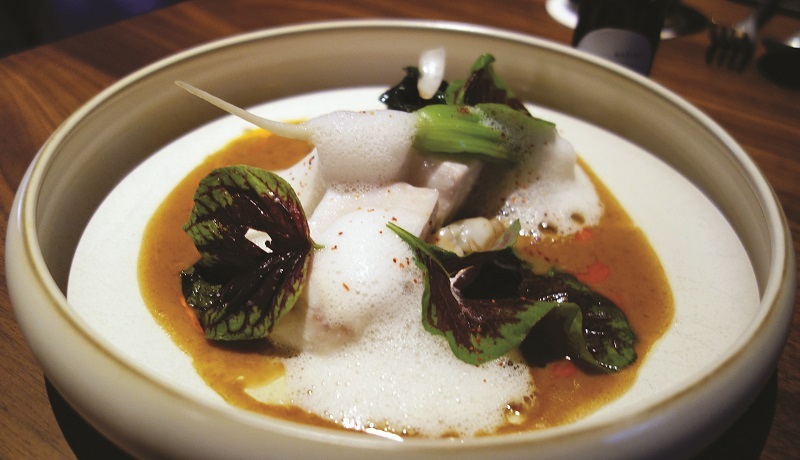 In the Fish section, Mackerel (RM66) had a froth of bamboo clam foam that hid a piece of slow-cooked fish as well as lobster bisque with lily bulb, red spinach and chilli oil, which could be added as desired from a squeeze dropper. Beautifully textured fish meat, complemented by the foam and bisque, made for a refined, flavoursome experience. 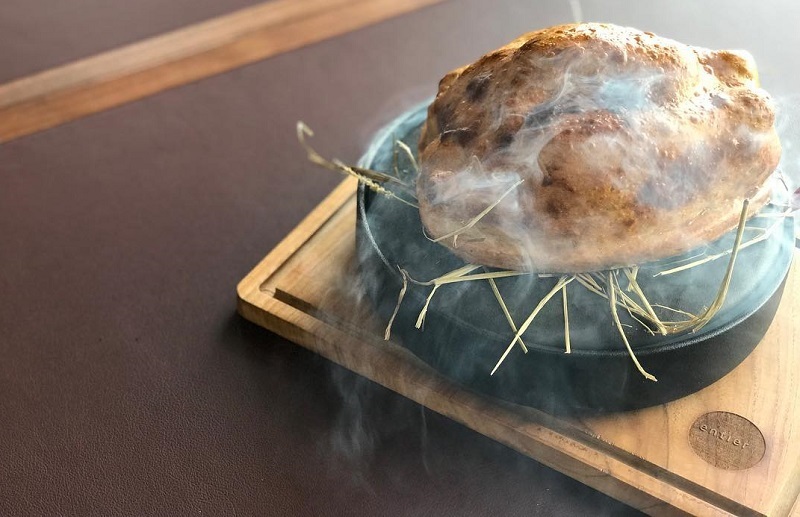 The long-awaited Josper-cooked chicken (RM117) arrived in style, encased in a salt dough crust. Opened, it revealed the whole, steaming chicken which was carved tableside. Garlic oil, mushroom sauce and chicken-fat mashed potato completed the ensemble. The chicken was superbly tender, baked in its own juices, yet meatier in texture than some of the famous chicken rice shop specialists, while the mashed potato was super-smooth on the tongue. Desserts: Lemon and Basil (RM30) was a lemon crème brûlée — smooth, creamy and appetising, with a light caramelised crust — with basil ice cream, while Milk (RM34) was a composite of house-made bean curd, Chantilly cream and goat’s milk sorbet, offset by rhubarb and strawberry compote. Suffice to say this looked too good to eat and was enticingly silky smooth. The Chocolate and Cardamom (RM38) was made from single origin Pahang chocolate, with ganache, chocolate cardamom ice cream and feuilletine for a cold, creamy, luxuriously rich chocolate ending. For an exalted dining experience, Entier is neither ostentatious, pompous nor overpriced. It salutes Malaysian food with local ingredients and traditions, stylish presentations that delight the eyes and exquisite refinements that flatter and pamper the palate, elevating it to the status of a must-visit for those who appreciate dining in style with a local twist. Level 41, Alila Bangsar, 58 Jalan Ang Seng, KL. 03 2268 3819. This article first appeared on Sept 10, 2018 in The Edge Malaysia.